One of the best Bordeaux cuvee wines from Croatia! 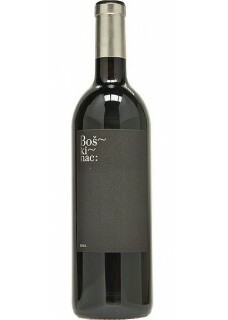 A Cult wine from Croatia, now in one of the best vintages ever!!! The first thing that strikes one is the very dark, opaque red colour. The scent is literally bursting with strong fruity aromas of blueberries and black currant. The strength, exquisiteness and density of this wine is united in the flavour. The alcohol is strong, but does not protrude and fits nicely in a full body and concentrated extract. In this very interesting wine it should be mentioned that an excellent aftertaste occurs which leaves a strong impression on the tongue and invokes another sip. Food pairing: Fish roasted or baked, game, grilled red meat.